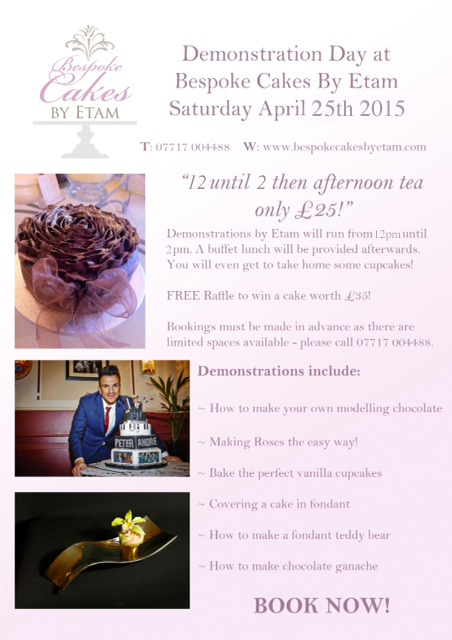 Ticket for Demonstration afternoon with afternoon tea on Saturday April 25th. Only £25 per person! 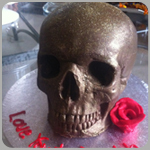 Solid chocolate skull with any message! Milk, dark or plain chocolate! 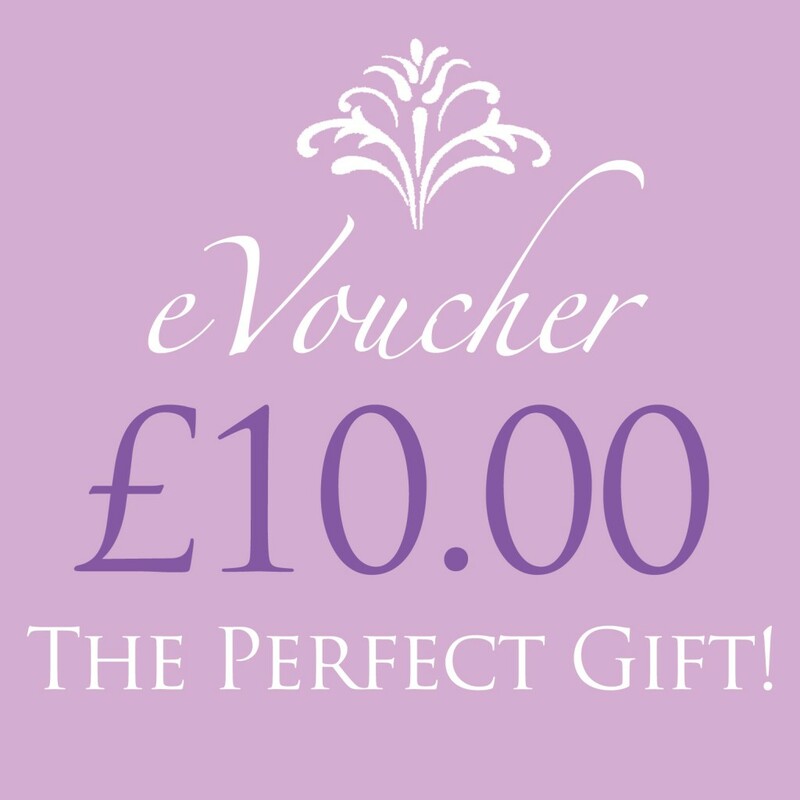 A £10 gift voucher can be redeemed with any cakes purchased from Bespoke Cakes by Etam. A £20 gift voucher can be redeemed with any cakes purchased from Bespoke Cakes by Etam. A £30 gift voucher can be redeemed with any cakes purchased from Bespoke Cakes by Etam. A £40 gift voucher can be redeemed with any cakes purchased from Bespoke Cakes by Etam. A £50 gift voucher can be redeemed with any cakes purchased from Bespoke Cakes by Etam. Dates to be arranged before payment! 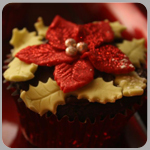 Students will learn how to bake up to 8 perfect vanilla cupcakes, mix delicious buttercream frosting and make stunning decorations. 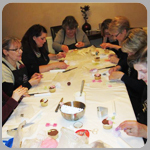 You will complete the class with a new set of skills and your own personalised collection of cupcakes, the perfect treat for family and friends. Included will be a buffet lunch! Food and drink: coffee tea and water will be provided free of charge through out the day. Ingredients, tools and equipment: all tools and ingredients will be provided for each student and must be returned at the end of the day. Transportion Boxes: Please bring your own transportion boxes. Fun Nights Monday to Friday evenings with you and a maximum of seven of your friends for just £80! 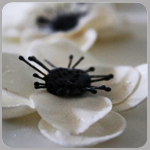 Learn how to make gumpaste flowers and other edible cupcake toppers! Please call 07717004488 to secure your evening before paying please! Edible table decoration with 30 bite size cupcakes! £10 refund back when the pots are returned! 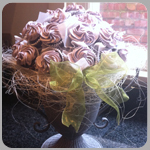 Students will learn how to make various sugar flowers. You will complete the class with a new set of skills and you will be able to take your sugar flowers home to use on your next cake. Please arrange your date first please as this is a non-refundable deposit! Deposit to secure your date!